Some people may note that Sedevacantists are absent on the spectrum. I think this is fine because, ideologically, once a person crosses the line to sedevacantism they begin to "pick and choose" amongst the doctrines of the Church (dogmatic facts, infallibility and indefectibility being noted inclusions). Even if they accept the doctrines of the Church, they invariably must re-imagine them to fit their perspective. Falling off the edge of the spectrum it just like crossing a mathematical discontinuity. Suddenly the sedevacantists find themselves ideologically companion to the protestants (heretics) and orthodox (schismatics). So everyone fits within the 'spectrum' of beliefs concerning the council and their responses to the crisis reflect those beliefs. In general, Traditionalists initially acted upon cultural assumptions during the turmoil of the 70's and 80's. Once the fight/flight response had been satisfied, they then took the opportunity to look for the cause of the crisis. They found it in the documents of the Second Vatican Council and the assumptions that they embody. Following organizational cultural theory, the artifacts of the Council (documents, liturgical reforms) are embodiments the 'cultural assumptions'. Given that the documents do represent the assumptions of the men who wrote them, the documents will be an admixture of those assumptions. Which culture dominated is easy to ascertain. Simply look at the doctrinal elements within the pre-conciliar and conciliar magisterium that have disappeared from the post-conciliar artifacts. The doctrinal discussions between Rome and the SSPX did just that, providing clarity on where the two cultures are at odds. The 'four points' are the phrases or sections of the documents of Vatican II that, according to the SSPX, are in contradiction to the pre-conciliar magisterium. We can conclude that the 'Four Points' touch upon a cultural assumption held by those in power and that they were unwilling to cross. If they had been able to cross it ... then the SSPX would be have been regularized in 2012 and the FFI would not have been decimated. That the assumption is centred upon the Council, the liturgical reform and the magisterium since the council is manifest.The exact nature of this assumption remains nebulous. Is it that the Council was a perfect expression of the magisterium? Is it that the pre-conciliar principles are deemed wrong? I think that if we were to unearth the assumption(s) then we would know why the SSPX creates such strong reactions whenever it appears in the public sphere. On at least four points, the teachings of the Second Vatican Council are obviously in logical contradiction to the pronouncements of the previous traditional Magisterium, so that it is impossible to interpret them in keeping with the other teachings already contained in the earlier documents of the Church’s Magisterium. Vatican II has thus broken the unity of the Magisterium, to the same extent to which it has broken the unity of its object.These four points are as follows. ... We may reasonably take his statement as a description of the doctrinal points upon which the FSSPX will not compromise, and that are taken by the Holy See to inevitably give rise to a rift. In the following sections below I have attempted to capture the pre-conciliar magisterium, post-conciliar and, time allowing, highlight the areas where I believe there exists a contradiction (aka rupture). At some point in the future, I believe it will be enlightening to post and compare the original schemas on these topics. Ultimately, the question comes down to the assertion that the Council did not change the doctrine of the faith. If it did not, then why is the adherence to the pre-conciliar understanding of the doctrine met with such opposition? The comparison of the points of doctrine below provide some answers in the glaring sun. 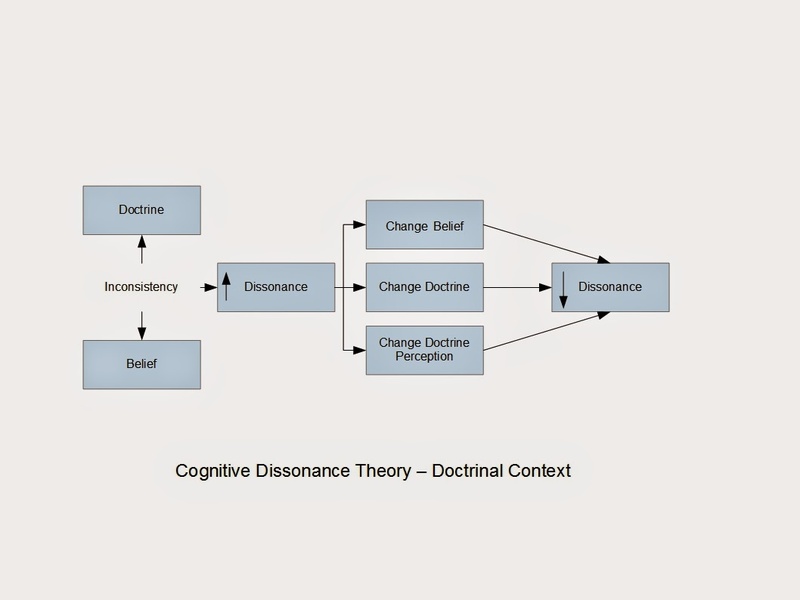 Looking at the 'doctrinal dissonance' model, it would seem that some beliefs are perhaps not aligned with Doctrine. Dignitatis Humanae 2This Vatican Council declares that the human person has a right to religious freedom. This freedom means that all men are to be immune from coercion on the part of individuals or of social groups and of any human power, in such wise that no one is to be forced to act in a manner contrary to his own beliefs, whether privately or publicly, whether alone or in association with others, within due limits.The council further declares that the right to religious freedom has its foundation in the very dignity of the human person as this dignity is known through the revealed word of God and by reason itself. (2) This right of the human person to religious freedom is to be recognized in the constitutional law whereby society is governed and thus it is to become a civil right.It is in accordance with their dignity as persons-that is, beings endowed with reason and free will and therefore privileged to bear personal responsibility-that all men should be at once impelled by nature and also bound by a moral obligation to seek the truth, especially religious truth. They are also bound to adhere to the truth, once it is known, and to order their whole lives in accord with the demands of truth. However, men cannot discharge these obligations in a manner in keeping with their own nature unless they enjoy immunity from external coercion as well as psychological freedom. Therefore the right to religious freedom has its foundation not in the subjective disposition of the person, but in his very nature. In consequence, the right to this immunity continues to exist even in those who do not live up to their obligation of seeking the truth and adhering to it and the exercise of this right is not to be impeded, provided that just public order be observed. Pius XII – Mystici Corporis13. If we would define and describe this true Church of Jesus Christ -- which is the One, Holy, Catholic, Apostolic Roman Church  -- we shall find nothing more noble, more sublime, or more divine than the expression "the Mystical Body of Jesus Christ" - an expression which springs from and is, as it were, the fair flowering of the repeated teaching of the Sacred Scriptures and the holy Fathers.14. That the Church is a body is frequently asserted in the Sacred Scriptures. "Christ," says the Apostle, "is the Head of the Body of the Church." If the Church is a body, it must be an unbroken unity, according to those words of Paul: "Though many we are one body in Christ." But it is not enough that the body of the Church should be an unbroken unity; it must also be something definite and perceptible to the senses as Our predecessor of happy memory, Leo XIII, in his Encyclical Satis Cognitum asserts: "the Church is visible because she is a body." Hence they err in a matter of divine truth, who imagine the Church to be invisible, intangible, a something merely "pneumatological" as they say, by which many Christian communities, though they differ from each other in their profession of faith, are united by an invisible bond. Pius IX – Syllabus 16, 1716. Man may, in the observance of any religion whatever, find the way of eternal salvation, and arrive at eternal salvation. -- Encyclical "Qui pluribus," Nov. 9, 1846.17. Good hope at least is to be entertained of the eternal salvation of all those who are not at all in the true Church of Christ. -- Encyclical "Quanto conficiamur," Aug. 10, 1863, etc. 4. ... Wherefore, by the will of its Founder, it is necessary that this Church should be one in all lands and at all times....5. Furthermore, the Son of God decreed that the Church should be His mystical body, with which He should be united as the Head, after the manner of the human body which He assumed, to which the natural head is physiologically united. As He took to Himself a mortal body, which He gave to suffering and death in order to pay the price of man's redemption, so also He has one mystical body in which and through which He renders men partakers of holiness and of eternal salvation. God "hath made Him (Christ) head over all the Church, which is His body" (Eph. i., 22-23). Scattered and separated members cannot possibly cohere with the head so as to make one body. But St. Paul says: "All members of the body, whereas they are many, yet are one body, so also is Christ" (I Cor. xii., 12). Wherefore this mystical body, he declares, is "compacted and fitly jointed together. The head, Christ: from whom the whole body, being compacted and fitly jointed together, by what every joint supplieth according to the operation in the measure of every part" (Eph. iv., 15-16). And so dispersed members, separated one from the other, cannot be united with one and the same head. "There is one God, and one Christ; and His Church is one and the faith is one; and one the people, joined together in the solid unity of the body in the bond of concord. This unity cannot be broken, nor the one body divided by the separation of its constituent parts" (S. Cyprianus, De Cath. Eccl. Unitateccl. Unitate, n. 23). And to set forth more clearly the unity of the Church, he makes use of the illustration of a living body, the members of which cannot possibly live unless united to the head and drawing from it their vital force. Separated from the head they must of necessity die. "The Church," he says, "cannot be divided into parts by the separation and cutting asunder of its members. What is cut away from the mother cannot live or breathe apart" (Ibid.). ... So the Christian is a Catholic as long as he lives in the body: cut off from it he becomes a heretic - the life of the spirit follows not the amputated member" (S. Augustinus, Sermo cclxvii., n. 4).The Church of Christ, therefore, is one and the same for ever; those who leave it depart from the will and command of Christ, the Lord - leaving the path of salvation they enter on that of perdition. "Whosoever is separated from the Church is united to an adulteress. He has cut himself off from the promises of the Church, and he who leaves the Church of Christ cannot arrive at the rewards of Christ....He who observes not this unity observes not the law of God, holds not the faith of the Father and the Son, clings not to life and salvation" (S. Cyprianus, De Cath. Eccl. Unitate, n. 6).6. But He, indeed, Who made this one Church, also gave it unity, that is, He made it such that all who are to belong to it must be united by the closest bonds, so as to form one society, one kingdom, one body - "one body and one spirit as you are called in one hope of your calling (Eph. iv., 4). Jesus Christ, when His death was nigh at hand, declared His will in this matter, and solemnly offered it up, thus addressing His Father: "Not for them only do I pray, but for them also who through their word shall believe in Me...that they also may be one in Us...that they may be made perfect in one" John xvii., 20-21 23). Yea, He commanded that this unity should be so closely knit and so perfect amongst His followers that it might, in some measure, shadow forth the union between Himself and His Father: "I pray that they all may be one as Thou Father in Me and I in Thee" (Ibid. 21).Agreement and union of minds is the necessary foundation of this perfect concord amongst men, from which concurrence of wills and similarity of action are the natural results. Wherefore, in His divine wisdom, He ordained in His Church Unity of Faith; a virtue which is the first of those bonds which unite man to God, and whence we receive the name of the faithful - "one Lord, one faith, one baptism" (Eph. iv., 5). That is, as there is one Lord and one baptism, so should all Christians, without exception, have but one faith. ... The practice of the Church has always been the same, as is shown by the unanimous teaching of the Fathers, who were wont to hold as outside Catholic communion, and alien to the Church, whoever would recede in the least degree from any point of doctrine proposed by her authoritative Magisterium. ...Christ therefore must have given to His Church a supreme authority to which all Christians must render obedience. For this reason, as the unity of the faith is of necessity required for the unity of the church, inasmuch as it is the body of the faithful, so also for this same unity, inasmuch as the Church is a divinely constituted society, unity of government, which effects and involves unity of communion, is necessary jure divino. "The unity of the Church is manifested in the mutual connection or communication of its members, and likewise in the relation of all the members of the Church to one head" (St. Thomas, 2a 2ae, 9, xxxix., a. I). From this it is easy to see that men can fall away from the unity of the Church by schism, as well as by heresy. " 6. ... This Church, after being so wonderfully instituted, could not, on the removal by death of its Founder and of the Apostles who were the pioneers in propagating it, be entirely extinguished and cease to be, for to it was given the commandment to lead all men, without distinction of time or place, to eternal salvation: "Going therefore, teach ye all nations." In the continual carrying out of this task, will any element of strength and efficiency be wanting to the Church, when Christ Himself is perpetually present to it, according to His solemn promise: "Behold I am with you all days, even to the consummation of the world?" It follows then that the Church of Christ not only exists to-day and always, but is also exactly the same as it was in the time of the Apostles, unless we were to say, which God forbid, either that Christ our Lord could not effect His purpose, or that He erred when He asserted that the gates of hell should never prevail against it. 10. So, Venerable Brethren, it is clear why this Apostolic See has never allowed its subjects to take part in the assemblies of non-Catholics: for the union of Christians can only be promoted by promoting the return to the one true Church of Christ of those who are separated from it, for in the past they have unhappily left it. To the one true Church of Christ, we say, which is visible to all, and which is to remain, according to the will of its Author, exactly the same as He instituted it. ... For since the mystical body of Christ, in the same manner as His physical body, is one, compacted and fitly joined together, it were foolish and out of place to say that the mystical body is made up of members which are disunited and scattered abroad: whosoever therefore is not united with the body is no member of it, neither is he in communion with Christ its head.11. Furthermore, in this one Church of Christ no man can be or remain who does not accept, recognize and obey the authority and supremacy of Peter and his legitimate successors. ... For if, as they continually state, they long to be united with Us and ours, why do they not hasten to enter the Church, "the Mother and mistress of all Christ's faithful"? Let them hear Lactantius crying out: "The Catholic Church is alone in keeping the true worship. This is the fount of truth, this the house of Faith, this the temple of God: if any man enter not here, or if any man go forth from it, he is a stranger to the hope of life and salvation. Let none delude himself with obstinate wrangling. For life and salvation are here concerned, which will be lost and entirely destroyed, unless their interests are carefully and assiduously kept in mind." Unitatis Redintegration 3Even in the beginnings of this one and only Church of God there arose certain rifts,(19) which the Apostle strongly condemned. (20) But in subsequent centuries much more serious dissensions made their appearance and quite large communities came to be separated from full communion with the Catholic Church - for which, often enough, men of both sides were to blame. The children who are born into these Communities and who grow up believing in Christ cannot be accused of the sin involved in the separation, and the Catholic Church embraces upon them as brothers, with respect and affection. For men who believe in Christ and have been truly baptized are in communion with the Catholic Church even though this communion is imperfect. The differences that exist in varying degrees between them and the Catholic Church - whether in doctrine and sometimes in discipline, or concerning the structure of the Church - do indeed create many obstacles, sometimes serious ones, to full ecclesiastical communion. The ecumenical movement is striving to overcome these obstacles. But even in spite of them it remains true that all who have been justified by faith in Baptism are members of Christ's body,(21) and have a right to be called Christian, and so are correctly accepted as brothers by the children of the Catholic Church. (22)Moreover, some and even very many of the significant elements and endowments which together go to build up and give life to the Church itself, can exist outside the visible boundaries of the Catholic Church: the written word of God; the life of grace; faith, hope and charity, with the other interior gifts of the Holy Spirit, and visible elements too. All of these, which come from Christ and lead back to Christ, belong by right to the one Church of Christ.The brethren divided from us also use many liturgical actions of the Christian religion. These most certainly can truly engender a life of grace in ways that vary according to the condition of each Church or Community. These liturgical actions must be regarded as capable of giving access to the community of salvation.It follows that the separated Churches(23) and Communities as such, though we believe them to be deficient in some respects, have been by no means deprived of significance and importance in the mystery of salvation. For the Spirit of Christ has not refrained from using them as means of salvation which derive their efficacy from the very fullness of grace and truth entrusted to the Church.Nevertheless, our separated brethren, whether considered as individuals or as Communities and Churches, are not blessed with that unity which Jesus Christ wished to bestow on all those who through Him were born again into one body, and with Him quickened to newness of life - that unity which the Holy Scriptures and the ancient Tradition of the Church proclaim. For it is only through Christ's Catholic Church, which is "the all-embracing means of salvation," that they can benefit fully from the means of salvation. We believe that Our Lord entrusted all the blessings of the New Covenant to the apostolic college alone, of which Peter is the head, in order to establish the one Body of Christ on earth to which all should be fully incorporated who belong in any way to the people of God. This people of God, though still in its members liable to sin, is ever growing in Christ during its pilgrimage on earth, and is guided by God's gentle wisdom, according to His hidden designs, until it shall happily arrive at the fullness of eternal glory in the heavenly Jerusalem. For this reason it has always been necessary for every church--that is to say the faithful throughout the world--to be in agreement with the Roman church because of its more effective leadership. In consequence of being joined, as members to head, with that see, from which the rights of sacred communion flow to all, they will grow together into the structure of a single body  .Therefore, if anyone says that it is not by the institution of Christ the lord himself (that is to say, by divine law) that blessed Peter should have perpetual successors in the primacy over the whole church; or that the Roman pontiff is not the successor of blessed Peter in this primacy: let him be anathema. And so, supported by the clear witness of holy scripture, and adhering to the manifest and explicit decrees both of our predecessors the Roman pontiffs and of general councils, we promulgate anew the definition of the ecumenical council of Florence  ,which must be believed by all faithful Christians, namely that the apostolic see and the Roman pontiff hold a world-wide primacy, and that the Roman pontiff is the successor of blessed Peter, the prince of the apostles, true vicar of Christ, head of the whole church and father and teacher of all christian people. To him, in blessed Peter, full power has been given by our lord Jesus Christ to tend, rule and govern the universal church. All this is to be found in the acts of the ecumenical councils and the sacred canons.Wherefore we teach and declare that, by divine ordinance, the Roman church possesses a pre-eminence of ordinary power over every other church, and that this jurisdictional power of the Roman pontiff is both episcopal and immediate. Both clergy and faithful, of whatever rite and dignity, both singly and collectively, are bound to submit to this power by the duty of hierarchical subordination and true obedience, and this not only in matters concerning faith and morals, but also in those which regard the discipline and government of the church throughout the world. Furthermore, it follows from that supreme power which the Roman pontiff has in governing the whole church, that he has the right, in the performance of this office of his, to communicate freely with the pastors and flocks of the entire church, so that they may be taught and guided by him in the way of salvation.And therefore we condemn and reject the opinions of those who hold that this communication of the supreme head with pastors and flocks may be lawfully obstructed; or that it should be dependent on the civil power, which leads them to maintain that what is determined by the apostolic see or by its authority concerning the government of the church, has no force or effect unless it is confirmed by the agreement of the civil authority. Since the Roman pontiff, by the divine right of the apostolic primacy, governs the whole church, we likewise teach and declare that he is the supreme judge of the faithful  , and that in all cases which fall under ecclesiastical jurisdiction recourse may be had to his judgment  . The sentence of the apostolic see (than which there is no higher authority) is not subject to revision by anyone, nor may anyone lawfully pass judgment thereupon  . And so they stray from the genuine path of truth who maintain that it is lawful to appeal from the judgments of the Roman pontiffs to an ecumenical council as if this were an authority superior to the Roman pontiff. So, then, if anyone says that the Roman pontiff has merely an office of supervision and guidance, and not the full and supreme power of jurisdiction over the whole church, and this not only in matters of faith and morals, but also in those which concern the discipline and government of the church dispersed throughout the whole world; or that he has only the principal part, but not the absolute fullness, of this supreme power; or that his power of his is not ordinary and immediate both over all and each of the churches and over all and each of the pastors and faithful: let him be anathema. Lumen Gentium 22 Just as in the Gospel, the Lord so disposing, St. Peter and the other apostles constitute one apostolic college, so in a similar way the Roman Pontiff, the successor of Peter, and the bishops, the successors of the apostles, are joined together. Indeed, the very ancient practice whereby bishops duly established in all parts of the world were in communion with one another and with the Bishop of Rome in a bond of unity, charity and peace,(23*) and also the councils assembled together,(24*) in which more profound issues were settled in common, (25*) the opinion of the many having been prudently considered,(26*) both of these factors are already an indication of the collegiate character and aspect of the Episcopal order; and the ecumenical councils held in the course of centuries are also manifest proof of that same character. And it is intimated also in the practice, introduced in ancient times, of summoning several bishops to take part in the elevation of the newly elected to the ministry of the high priesthood. Hence, one is constituted a member of the Episcopal body in virtue of sacramental consecration and hierarchical communion with the head and members of the body.But the college or body of bishops has no authority unless it is understood together with the Roman Pontiff, the successor of Peter as its head. The pope's power of primacy over all, both pastors and faithful, remains whole and intact. In virtue of his office, that is as Vicar of Christ and pastor of the whole Church, the Roman Pontiff has full, supreme and universal power over the Church. And he is always free to exercise this power. The order of bishops, which succeeds to the college of apostles and gives this apostolic body continued existence, is also the subject of supreme and full power over the universal Church, provided we understand this body together with its head the Roman Pontiff and never without this head. (27*) This power can be exercised only with the consent of the Roman Pontiff. For our Lord placed Simon alone as the rock and the bearer of the keys of the Church,(156) and made him shepherd of the whole flock;(157) it is evident, however, that the power of binding and loosing, which was given to Peter,(158) was granted also to the college of apostles, joined with their head. (159)(28*) This college, insofar as it is composed of many, expresses the variety and universality of the People of God, but insofar as it is assembled under one head, it expresses the unity of the flock of Christ. In it, the bishops, faithfully recognizing the primacy and pre-eminence of their head, exercise their own authority for the good of their own faithful, and indeed of the whole Church, the Holy Spirit supporting its organic structure and harmony with moderation. The supreme power in the universal Church, which this college enjoys, is exercised in a solemn way in an ecumenical council. A council is never ecumenical unless it is confirmed or at least accepted as such by the successor of Peter; and it is prerogative of the Roman Pontiff to convoke these councils, to preside over them and to confirm them. (29*) This same collegiate power can be exercised together with the pope by the bishops living in all parts of the world, provided that the head of the college calls them to collegiate action, or at least approves of or freely accepts the united action of the scattered bishops, so that it is thereby made a collegiate act. Lumen Gentium Nota Praevia 3The College, which does not exist without the head, is said "to exist also as the subject of supreme and full power in the universal Church." This must be admitted of necessity so that the fullness of power belonging to the Roman Pontiff is not called into question. For the College, always and of necessity, includes its head, because in the college he preserves unhindered his function as Christ's Vicar and as Pastor of the universal Church. In other words, it is not a distinction between the Roman Pontiff and the bishops taken collectively, but a distinction between the Roman Pontiff taken separately and the Roman Pontiff together with the bishops. Since the Supreme Pontiff is head of the College, he alone is able to perform certain actions which are not at all within the competence of the bishops, e.g., convoking the College and directing it, approving norms of action, etc. Cf. Modus 81. It is up to the judgment of the Supreme Pontiff, to whose care Christ's whole flock has been entrusted, to determine, according to the needs of the Church as they change over the course of centuries, the way in which this care may best be exercised—whether in a personal or a collegial way. The Roman Pontiff, taking account of the Church's welfare, proceeds according to his own discretion in arranging, promoting and approving the exercise of collegial activity. Note 1: Mr. Verrecchio's label of 'Radical Traditionalist' is explained here. Note 2: The documents of the Second Vatican Council do not represent Heresy in that they do not contradict a De Fide teaching of the Church.